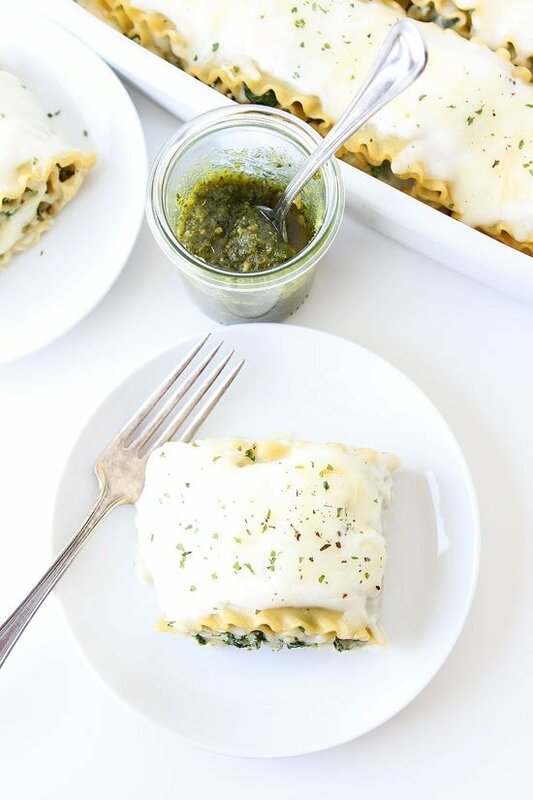 Pesto Lasagna Roll Ups-cheesy pesto lasagna all rolled up into individual servings. You will love this easy and fun twist on traditional lasagna! Our basil plants were starting to look droopy because they had so many basil leaves on them. I didn’t want them to look sad so I used the basil leaves to make a few batches of my Spinach Basil Pesto. 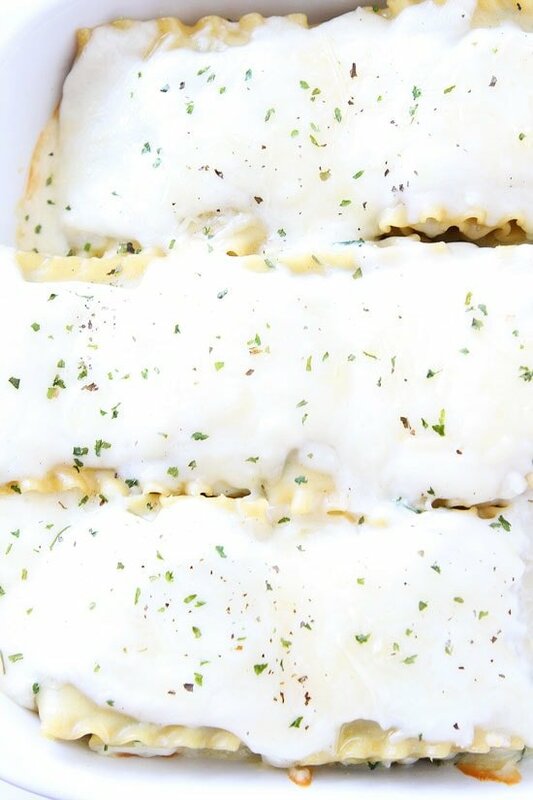 I stocked our freezer with pesto and used some to make Pesto Lasagna Roll Ups, one of our favorite dinners! Lasagna Roll Ups are fun to make and fun to eat! Instead of layering the lasagna in a pan, you put all of the ingredients inside of the lasagna noodles and roll them up! I made a simple creamy béchamel sauce and a pesto spinach filling. I also added lots of parmesan and mozzarella cheese because it’s lasagna and cheese is a MUST! I top the roll ups with more sauce and more cheese and bake until bubbly! 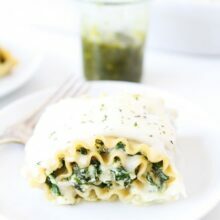 I love that the lasagna roll ups are individual servings of creamy, cheesy, pesto lasagna! Classic comfort food with a fun twist! 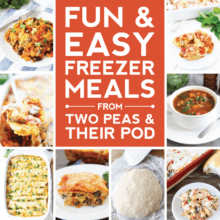 And if you have extras, you can put them in the freezer! They freeze beautifully! 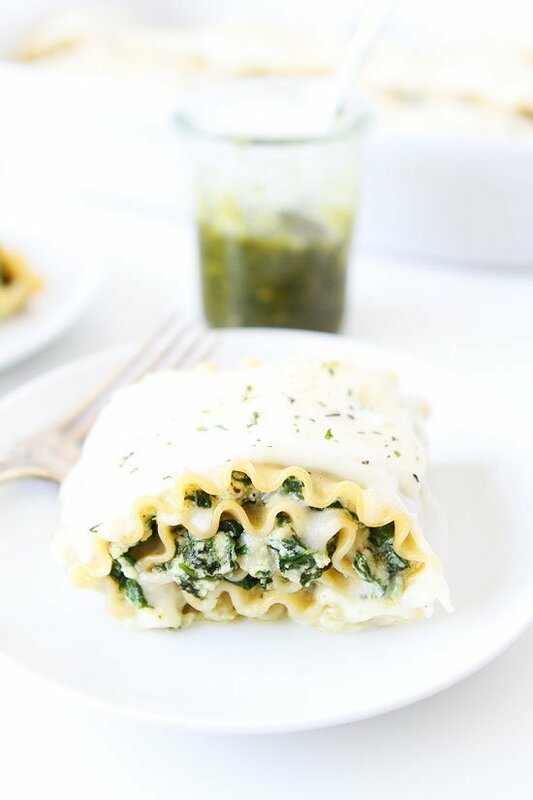 Pesto Lasagna Roll Ups are great for an easy weeknight or weekend dinner and the entire family will love them! Enjoy! 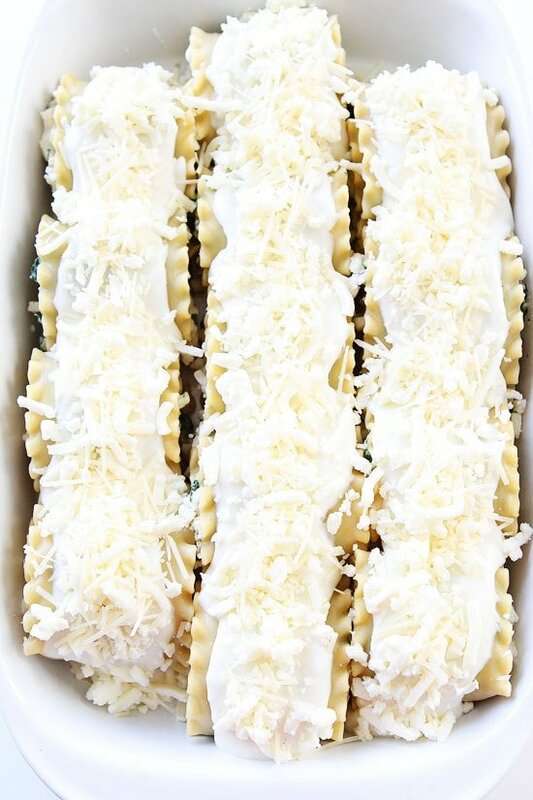 Cheesy pesto lasagna all rolled up into individual servings. You will love this easy and fun twist on traditional lasagna! Preheat the oven to 350 degrees F. Bring a large pot of water to a boil. Add the salt and cook the lasagna noodles to al dente, according to package directions. 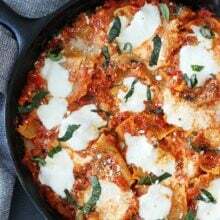 Drain and carefully lay the lasagna noodles out flat on a large piece of parchment paper or cooling rack. Let sit to cool. To make the béchamel sauce, heat butter in a medium saucepan over medium heat until melted and foaming. Add flour and cook, whisking constantly, for 1 minute. Whisk in milk, 1/2 cup at a time. Bring the sauce to a boil, reduce heat, and simmer, whisking frequently, until the sauce thickens and is the consistency of cream. This will take about 8-10 minutes. Season with nutmeg and salt, to taste. Remove from heat and set aside. 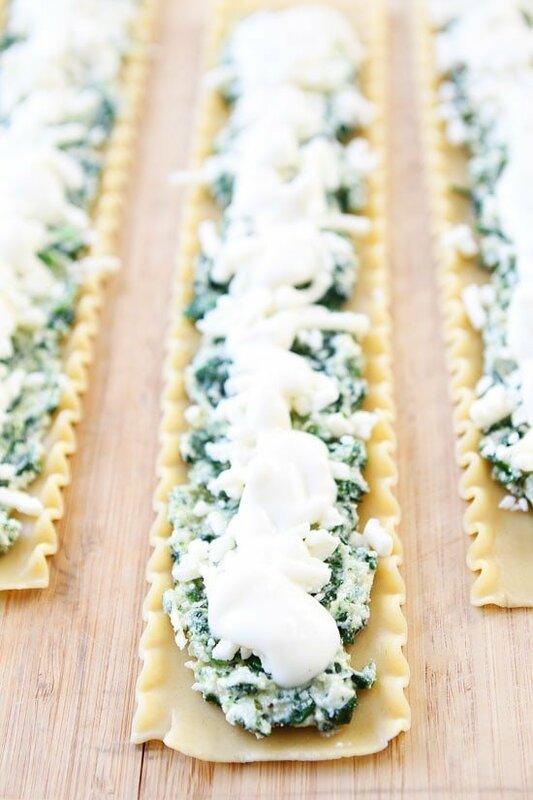 In a medium bowl, combine the ricotta cheese, egg, garlic, spinach, pesto, 1/4 cup parmesan cheese, crushed red pepper, and nutmeg. Stir until well combined. Season with salt and pepper. Spray a 9x13 baking dish with cooking spray. Line the bottom of the pan with 1/2 cup of the béchamel sauce. 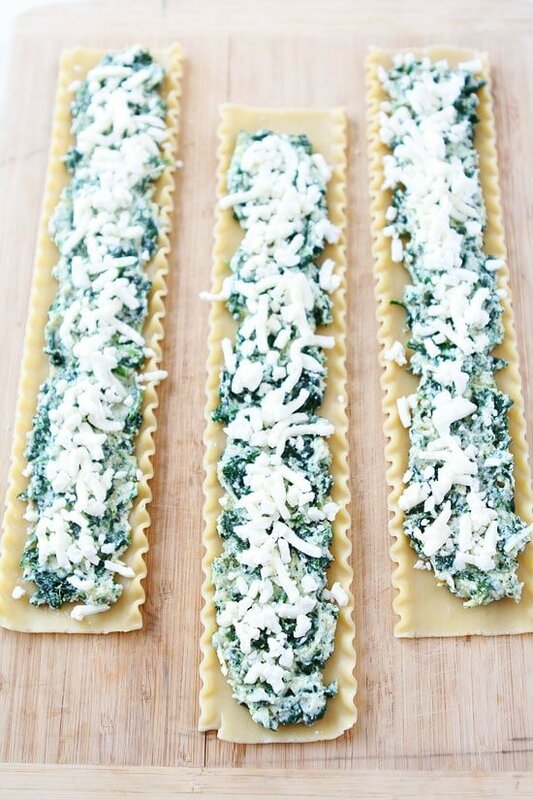 Take about 1/4 cup of the ricotta spinach mixture and spread it evenly onto each lasagna noodle. Top each noodle with 2 tablespoons of mozzarella cheese and 2 tablespoons of béchamel sauce. Carefully roll the noodles up and place them in the prepared pan. Top the lasagna rolls with the remaining béchamel sauce and remaining mozzarella and parmesan cheese. Spray a large sheet of foil with cooking spray and cover the pan. Place the pan in the oven and bake for 30 minutes. Remove the foil and bake for an additional 5 minutes, or until the cheese is melted on top. Remove from the oven and let sit for 5 minutes. Serve warm. Note-the lasagna roll ups freeze well. Cool completely and place in freezer containers. Freeze for up to 1 month. My basil plants were getting droopy too! I planted 10 basil plants and they got so huge on me. Glad you posted this to make (and included the link0 for the basil pesto). It goes without saying that these roll ups look delicious. hahahah- love the clueless reference! They look delicious! Going to put these on the to make list! 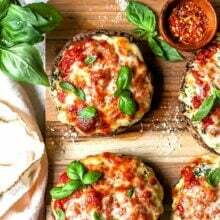 What a great idea – and so easy – perfect for a weeknight meal! Love pesto and these roll-ups!! I love pesto and this is by far the best presentation of Lasagna I have ever seen! Great job 🙂 I’m definitely going to try your recipe. I haven’t made lasagna roll ups in ages! And your pesto version looks divine—terrific for a meatless meal!!! All that cheese has me excited!!! I’ll bet this would be great in stuffed shells too. Can’t wait to try it. Looks like a dinner I could love. 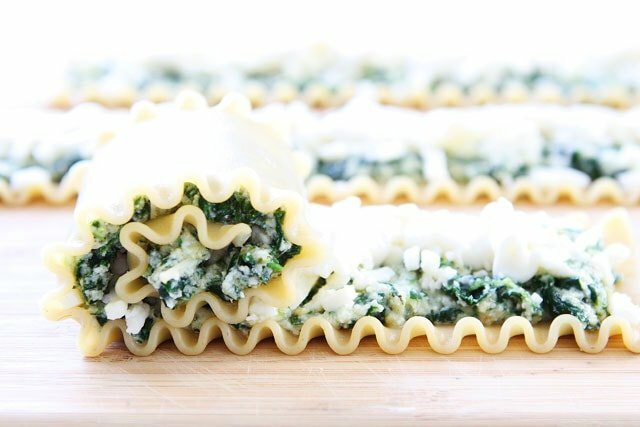 Always looking for fun ways to prepare lasagna and this one is a keeper! I have pesto frozen ready to use ,this looks to be a Great recipe to try. Can this dish be frozen prior to baking? I want to serve it in about 2 weeks time and hoped I could do it ahead. Oops, sorry just read that it can be frozen. What a fun and creative take on lasagna. Yummy flavors too! I absolutely LOVE pesto! I must make these soon! Question: Have you tried using a lower fat milk for the sauce? Or if you need the creamy texture perhaps a fat free half and half? Thanks! If you use a lower fat content it won’t be as creamy, but still good! This dish is absolutely delicious :-). 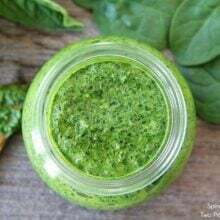 I have made it several times now and it’s always a hit as is the basil spinach pesto !! It started as a way to make good use of my bumper basil crop this year and has become a family (and friends) favourite. I have also made it replacing the bechamel with pureed, roasted tomato.. (made to use up that bumper crop of tomatoes). It was equally delicious. Thank you so much for sharing the love! I am making these tonight. They look delish! Question: I have frsh spinach not frozen. Would you prep the spinach in any way first? Maybe light saute in olive oil and garlic? Thanks! Yes, I would saute it first! Enjoy! Made this fabulous recipe tonight! Subbed sauteed spring mix for spinach (added onion, garlic, chopped carrot). Didn’t have pesto so I added extra garlic and parmesan. Turned out beautifully! I like the melted mozzarella to be golden so I broiled a minute or two. This recipe was very forgiving of all my substitutions. Delish! Thank you! I freeze after baking so I can just reheat it. You can freeze before baking too and cook the entire pan later. I made this tonight for my husband and he LOVED it! He raved for hours over it!!! Best thing I’ve ever made and I cook all the time!